I am delighted to be here at the launch of the 1 Gigaton Coalition Report. 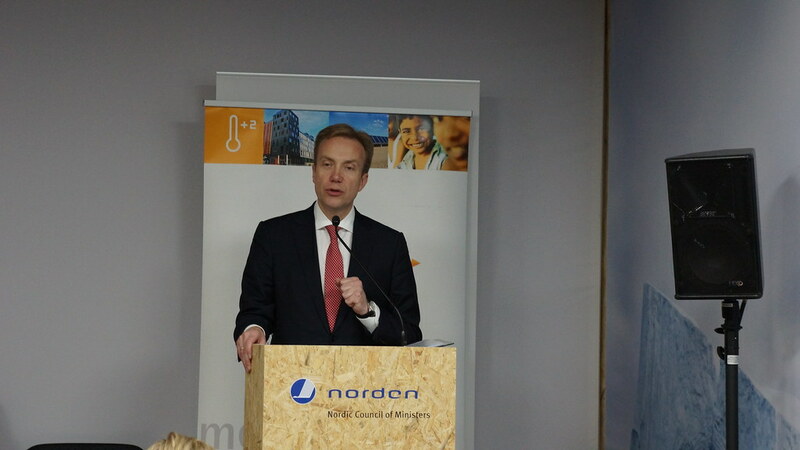 I would like to begin by thanking the Norwegian Ministry of Foreign Affairs, the United Nations Environment Programme and all the coalition partners for their hard work in preparing this important report. Climate change poses a complex challenge. In trying to solve this challenge, it’s tempting to look for a silver bullet solution. But complex problems require multi-faceted solutions and the report we are launching here today represents an important part of the overall climate action strategy. In Rwanda, we aim to triple our power generation capacity to 563 MW and extend power supply to 70 per cent of our people, up from the current 22 per cent, by 2018. The task we have set for ourselves is daunting, but we know that we cannot achieve both the social and economic development our citizens demand without access to energy. Rwanda currently has a unique power mix, but one that relies too heavily on thermal power. Our goal is to install more clean energy and reduce our dependence on dirty and expensive fossil fuels. Over the last few years, we’ve been working hard to achieve this goal. In partnership with Gigawatt Global, Rwanda has built the first industrial scale solar plant in East Africa, which added 8.5 MW to the national grid. The plant increased Rwanda’s generation capacity by 6% and was completed in just 12 months. We recently switched on a methane conversion plant that extracts the gas from Lake Kivu and turns it into energy for our people. Today, the plant contributes 22 MW to the national grid. Another example is one of the investment projects funded by our Green Fund. This project is a small-scale hydro plant that will reduce our use of diesel fuel by 300,000 litres every year. It will also provide power to the national grid at 50% of the current per Kwh cost. Our renewable energy efforts are programmatic. The long-term national Green Growth and Climate Resilience Strategy includes a Programme of Action for achieving a low carbon mix of power generation for the national grid by 2030. The required investment to change to from "business as usual" to low-carbon imperatives including generation, supply and use efficiencies for Rwanda has been costed at US $800 million. These efforts to transition away from fossil fuels are expensive, but it is an investment that Rwanda knows is worth the price. To assist in this transition, Rwanda created our own Green Fund to handle the much-needed financial resources for climate resilience. Our Green Fund is already channelling funds through investment and loan programmes sourced from environment and climate facilities including the international Green Climate Fund. We are optimistic about the impact this effort will have in limiting our emissions and growing our energy capacity. Rwanda is happy to share our renewable efforts so that others can learn from our challenges and successes and is glad to be working with the 1 Gigaton Coalition. We look forward to strengthening our partnership with the 1 Gigaton Coalition to further develop methodologies for measuring and reporting our mitigation achievements. Together, we can achieve the ambitious goals set by the 1 Gigaton Coalition.